" Body Well is our most reliable trusted company for personal therapeutic massage. It took us a very long time to find an in home company that we loved. 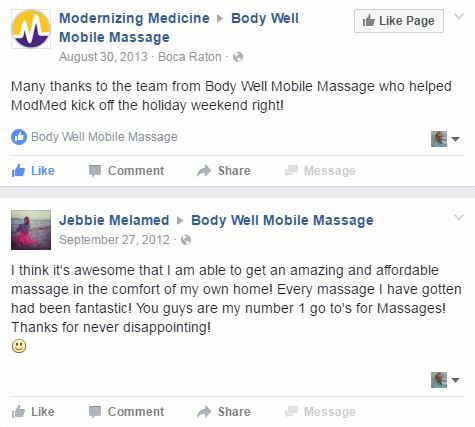 We have been clients of Body Well for almost 4 years and highly recommend it to all of our friends. Without Dan's company we would be totally lost. We can't thank Dan and his staff enough for all they do! The services are 5 star!!! " "Everyone loved it! Thanks so much! Your staff was so professional and great at what they do. See you next year!!!" “Just had an amazing massage with Vanesa. I’m very picky, so I’m so pleased to have found your company." 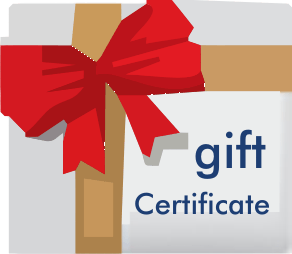 "I have been using the Body Well massage therapist for the past two years now and I always get great feedback from my staff. They are the best." "Everyone thoroughly enjoyed the experience!" "You made 20 people very happy yesterday! 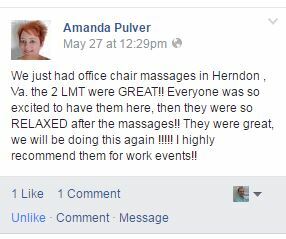 We had 2 very professional therapists in for +/- 4 hours who did an amazing job! All smiles :)"